Back in 2009 two of the Bay Area’s top traditional musicians teamed up to form the Midnite Ramblers, playing roots music steeped in authentic Cajun and Creole traditions. 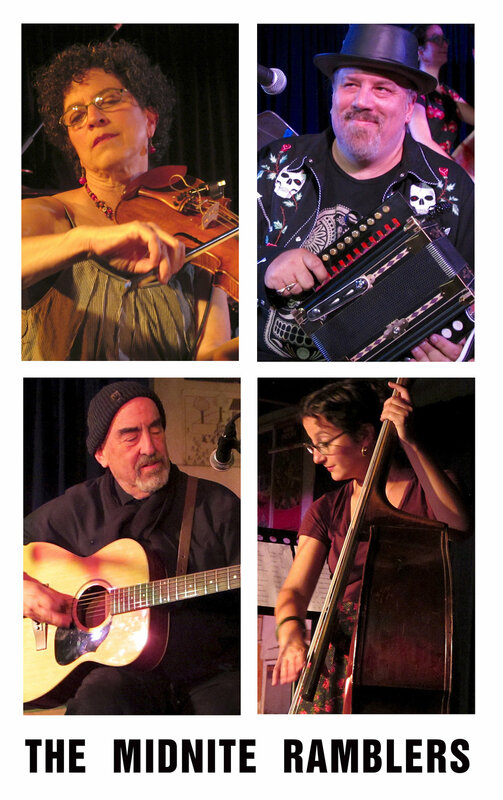 They deliver irresistibly danceable Cajun classics. An early year of intense musical experiences in Louisiana made the Ramblers’ sound even more authentic to the Cajun tradition. Singer and fiddler Agi Ban is a founder of the Aux Cajunals as well as the Midnite Ramblers. Accordion player and fiddler Mark Marcin is a former teacher at the University of Louisiana in Lafayette, where his love of Cajun, Creole, and zydeco music led to learning accordion from Ray Abshire, Jimmy Breaux, and others. He studied fiddle with Suzy Thompson and Cedric Watson.